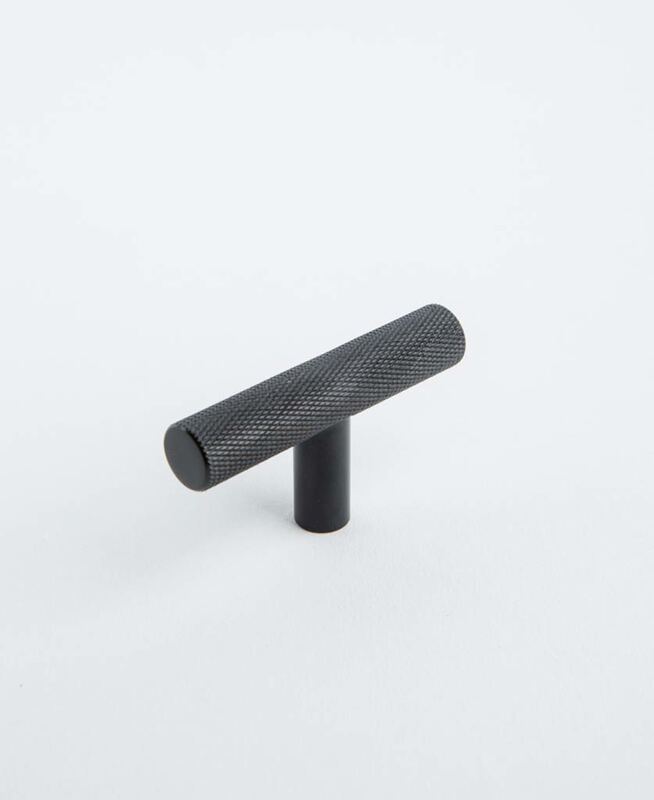 Our SKYSCRAPER T-BAR KNURLED HANDLE coordinates with our skyscraper handle perfectly. Made from tactile, knurled solid brass, these compact handles are perfect for smaller cupboards or in spaces where you want a more minimalist vibe. 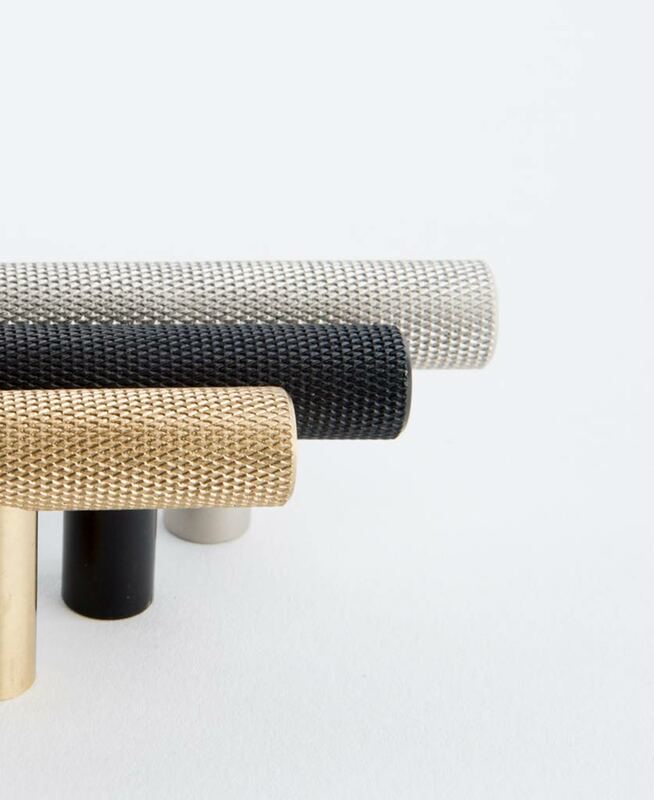 If you’re looking to add an industrial-glam vibe to your contemporary interiors, we’ve got just the handle for you. 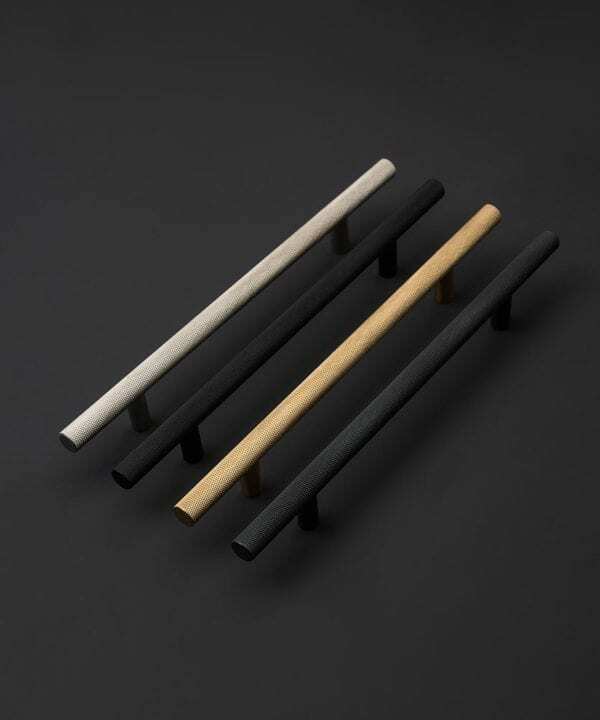 Meet our Skyscraper T-bar handle. 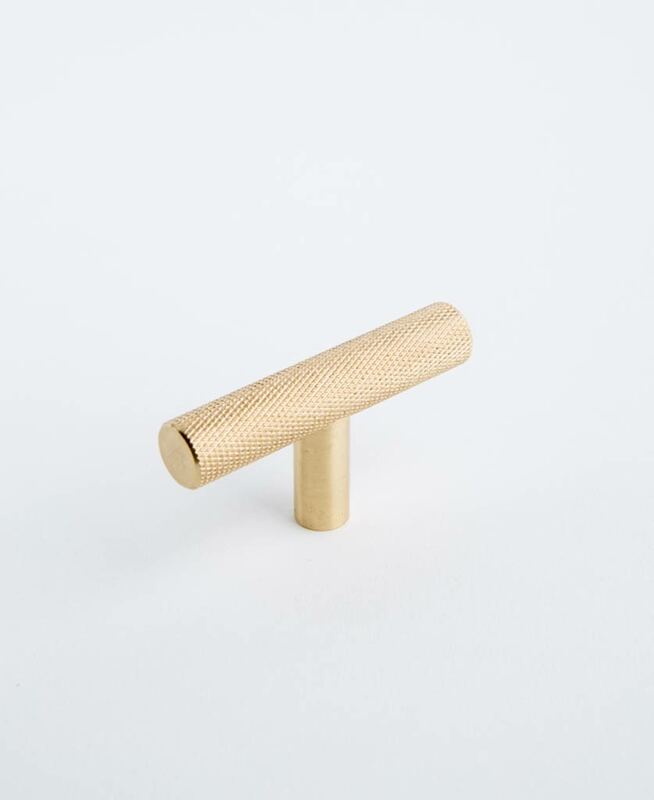 A smaller version of the original skyscraper handle, this rugged, solid brass door pull features a fabulously tactile knurled finish that catches the light beautifully to add a luxe finish to your cupboards and drawers. 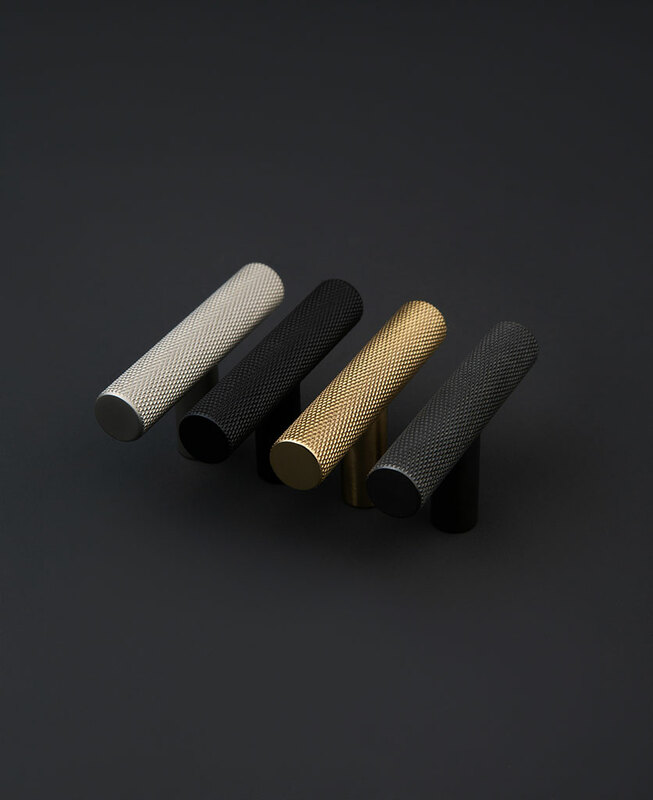 Don’t be fooled by the compact design of these minimalist handles, they’re wonderfully robust and have been built to stand the test of time. What’s more, they’re really ergonomic, and fit perfectly into your grasp, making it a real delight to open and close your cupboards. 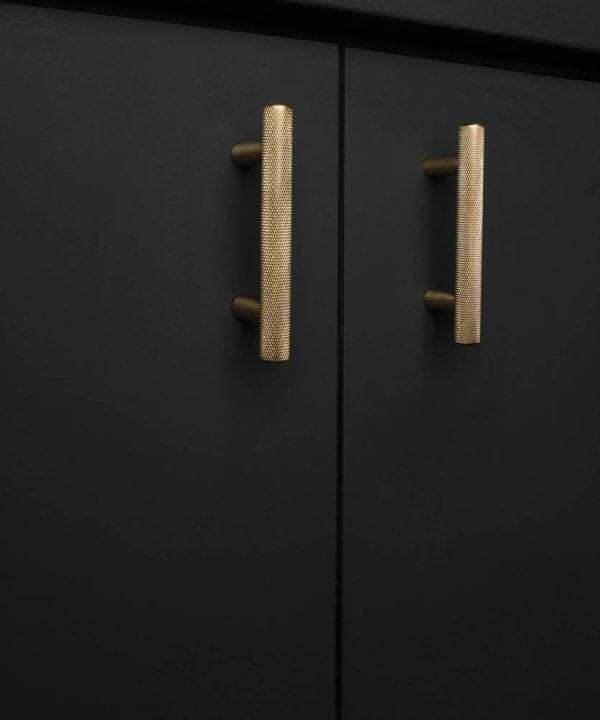 These rugged little handles are versatile to boot. 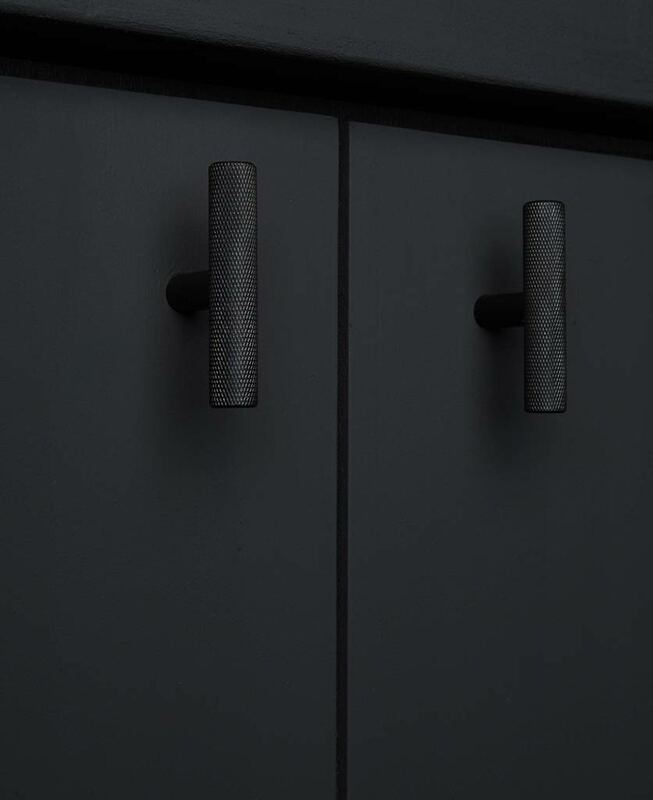 They work in a whole host of interior styles, but we LOVE them in contemporary spaces, where their knurled finish is sure to add texture and contrast to sleek cupboards.